In a recent decision, the Opposition Board of Japan Patent Office (JPO) dismissed an opposition filed by TISSOT S.A., a member of Swatch Group, who contended that trademark registration no. 5950175 for a word mark “PowerMatrix” designating, inter alia, watches in class 14 shall be cancelled in violation of Article 4(1)(xi) and (xv) of the Japan Trademark Law due to a conflict with senior domestic trademark registration and international trademark registration for the “POWERMATIC” mark in class 14. Opposed mark, consisting of a term “PowerMatrix” written in a plain alphabetical letter, was applied for registration on October 24, 2016 in the name of Kyland Technology Co. Ltd., a Chinese corporation, by covering various goods and services in classes 7,9,11,12,38 and 42 as well as watches in class 14. As a result of substantive examination, JPO granted registration (TM Reg no. 5950175) on May 26, 2017. The Japan Trademark Law provides that anyone is entitled to file an opposition against new trademark registration within two months from the publication date of gazette under Article of 43bis. Tissot S.A. filed an opposition against opposed mark “PowerMatrix” by citing senior registrations for the word mark “POWERMATIC”, and alleged that opposed mark shall be cancelled based on Article 4(1)(xi) and 4(1)(xv) of the Trademark Law. Article 4(1)(xi) is a provision to refrain from registering a junior mark which is deemed identical with, or similar to, any senior registered mark. Article 4(1)(xv) prohibits to register a mark which is likely to cause confusion in connection with the goods or services pertaining to a business of another person. Tissot argued POWERMATIC has been used on luxury Tissot watches in Japan as an indication of high-end automatic movement for the watches since 2013. By taking account of increasing sales amount of approx. 1 million CHF in 2015 and substantial advertisement through newspapers, magazines and web-media, the POWERMATIC mark has acquired a certain degree of popularity and reputation among relevant public in Japan as well as its house mark, Tissot. 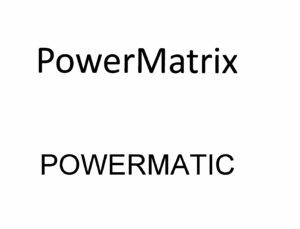 In appearance and sound, “PowerMatrix” and “POWERMATIC” are confusingly similar because of coincidence of initial eight alphabetical letters among ten in total. If so, opposed mark is likely to cause confusion with the Tissot luxury watch installing “POWERMATIC” automatic movement when used on watched in class 14. The Board negated a certain degree of popularity and reputation of the “POWERMATIC” mark, stating that produced materials are insufficient and non-objective to demonstrate famousness of the cited mark. 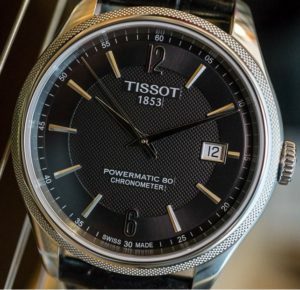 Given that the Tissot POWERMATIC watch was firstly distributed in Japan since 2013, a three-year-duration before the filing of opposed mark seems too short to become popular among relevant consumers in fact. Besides, the Board concluded that difference in appearance and sound is not negligible in view of overall configuration of both marks. If so, it is unlikely that relevant consumers and traders confuse or misconceive watches using the opposed mark with a product from Tissot and the entity systematically or economically connected with Tissot. Posted on 2018年4月14日 by Masaki MIKAMI in alphabetical name, Article 4(1)(xi), Article 4(1)(xv), Famous mark, Likelihood of confusion, Opposition and tagged Article 4(1)(xi), Article 4(1)(xv), Likelihood of confusion, POWERMATIC, PowerMatrix, TISSOT, trademark opposition.